Belmont Alumna, Megan (Beaven) Feeman, is bringing ‘out of this world’ ice cream to Nashville. Set to open in October 2018, Cosmic Creamery is an infused ice cream shop focused on creating new and exciting flavors by combining ice cream with cereal, fruit and candy. 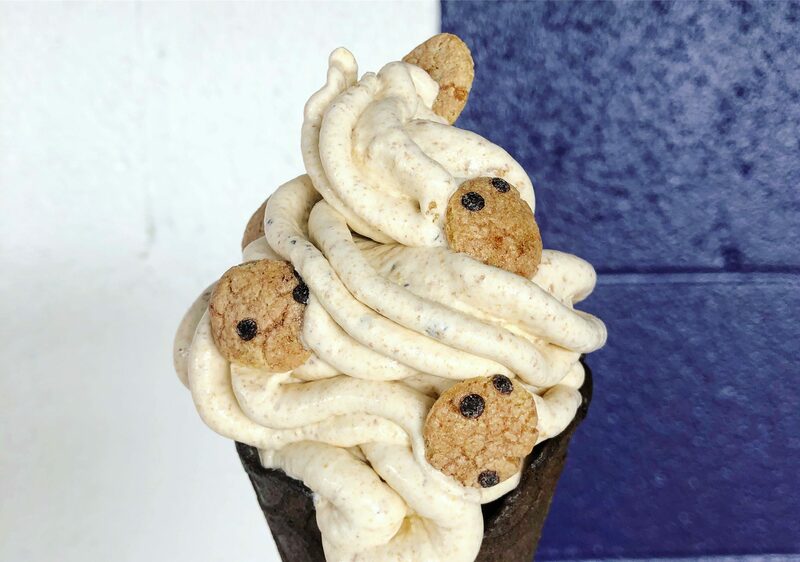 The venture will be opening in Germantown in Nashville–right next to Feeman’s first venture into the world of treats, NoBaked Cookie Dough. NoBaked began in March 2017 as an online store selling edible cookie dough. After opening a store front in Nashville and one in Lousiville, NoBaked is now preparing for the opening of their third store, and second in Nashville, on September 22. Riding the success of NoBaked, Feeman and her NoBaked team are anticipating the launch of their infused ice cream store. After a recent visit to New York City where they saw countless dessert shops, Feeman and her husband were inspired to grow Nashville’s sweet treat offerings. Cosmic’s new flavors will include Stardust (vanilla ice cream infused with Lucky Charms), Rocket Man (vanilla ice cream infused with Fruity Pebbles) and The Milky Way (vanilla ice cream infused with Cookie Crisp and NoBaked’s chocolate chip cookie dough).